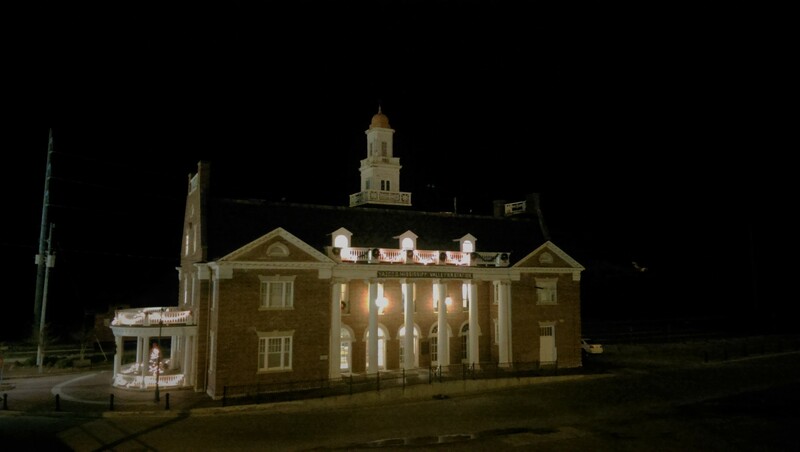 If you are a dark tourist interested in the paranormal, then there are three sites in Mississippi you shouldn’t miss! 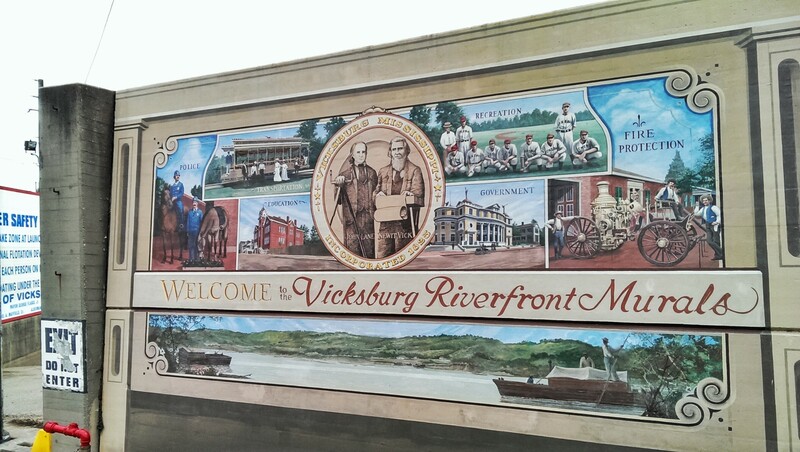 Founded in 1719 by French colonists, what is now Vicksburg was the homeland of the Natchez Native Americans. Ten years after Fort Saint Pierre was built along the hills overlooking the Yazoo River, the Natchez attacked this tiny colony, killing hundreds of settlers. Thus began the bloody history, and subsequent haunting of Vicksburg. 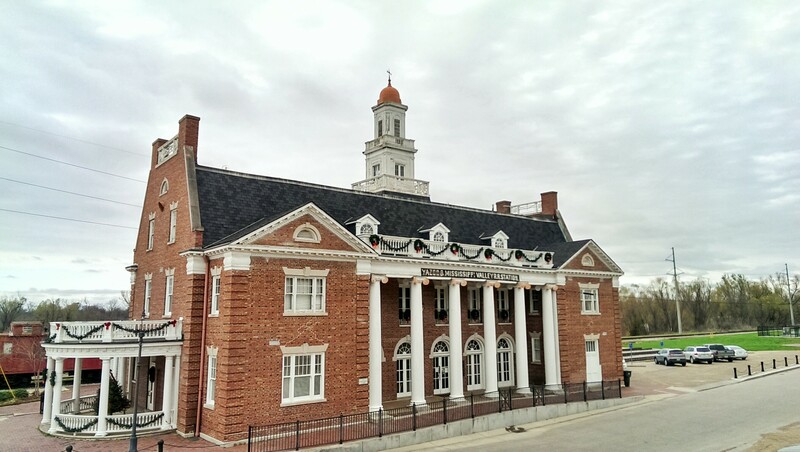 After the Americans took over in 1825, the second bloodshed happened in 1863, when the final major military campaign of the American Civil War took place here. The Siege of Vicksburg lasted 47 days, sinking the Confederate-controlled city into starvation. Many lives were sacrificed. 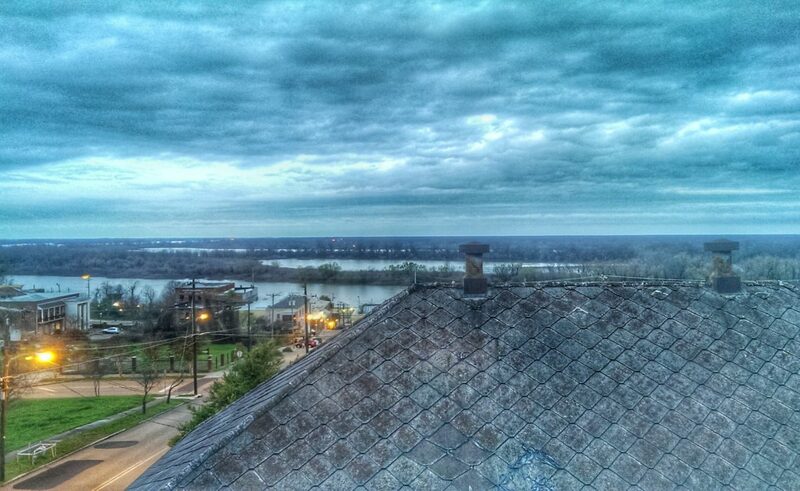 There are three places you can visit in Vicksburg where you can watch for ghost sightings. These are the very grounds where thousands of men were killed. Apparently, if you roam here at night, you will still smell the gun powder lingering in the air and the screams of injured soldiers. 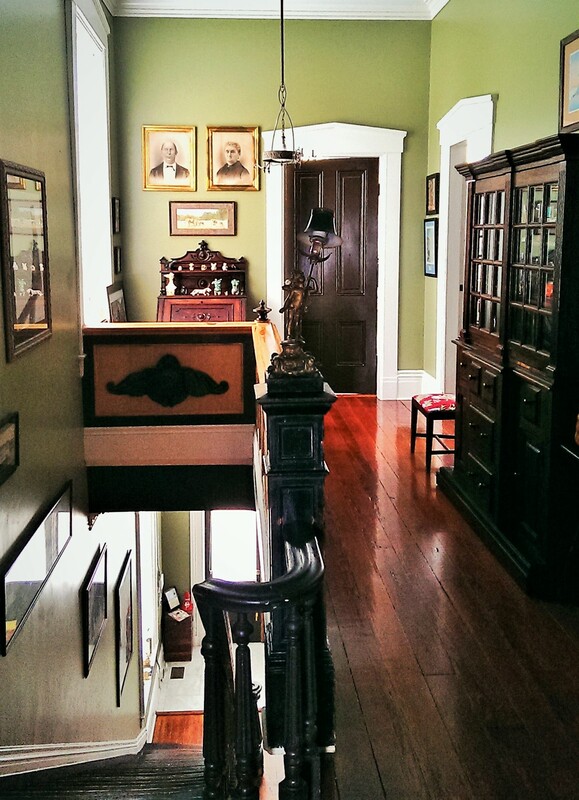 This is “Mississippi’s Most Haunted House”. 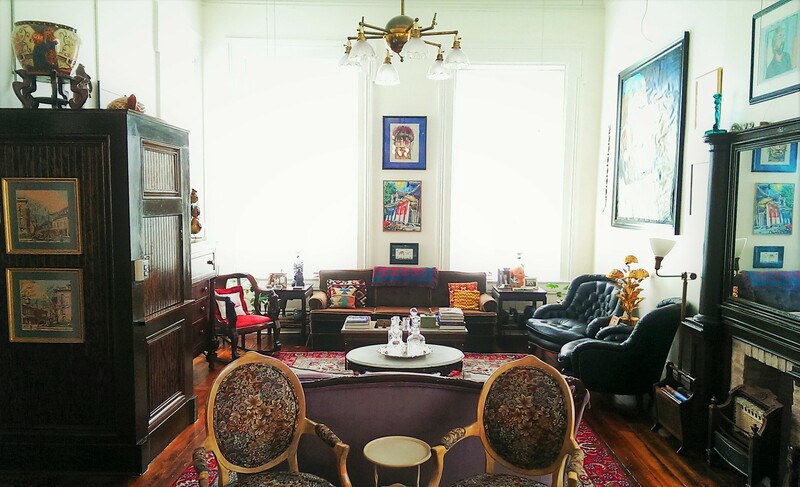 Built in 1797, the house seems to keep having people died in it. It started with owner John Bobb, who was murdered by Union troops outside the house. The next owner William Murray, had his whole family dead except two daughters who never married and never stepped outside the house. But the centre of the haunting was Mary Elizabeth Howard who died here during childbirth when she was only 15. You can join the tour and experienced the haunting yourself. 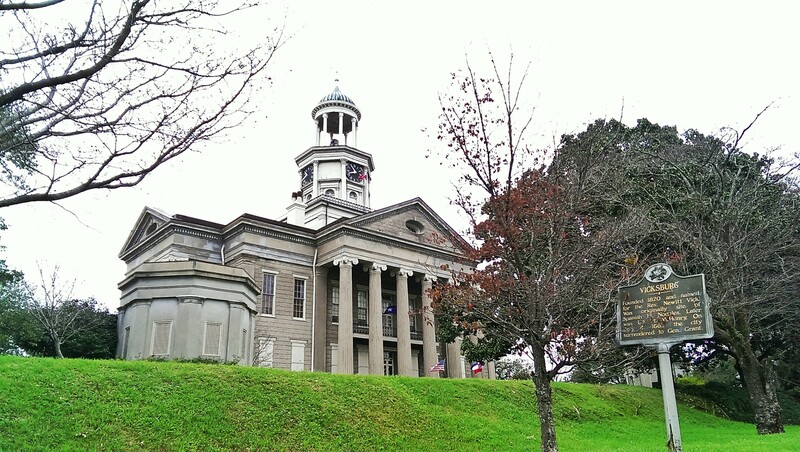 Built in 1826, this is the second oldest house in the Historic Downtown District. 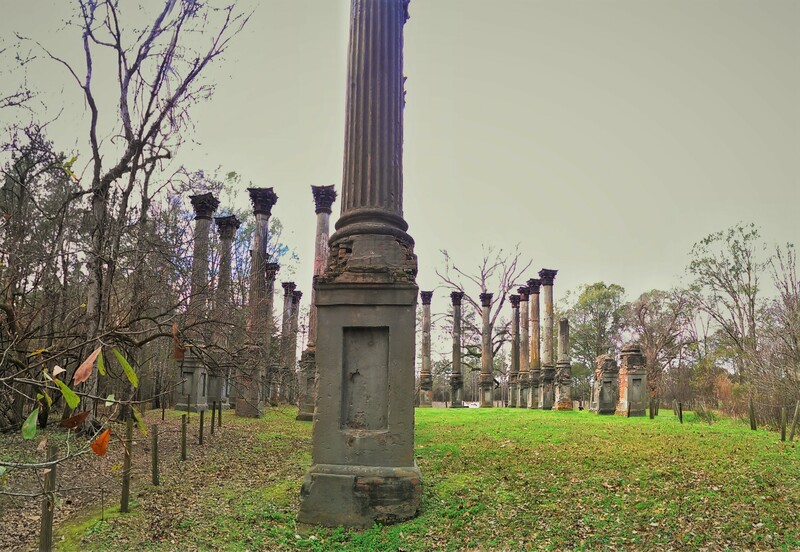 It was the home of Mississippi’s 12th governor, Alexander McNutt, and is just minutes from the National Military Park. Confederate Lt. David Weeks Magill, whose tombstone adorns the courtyard in front of the Magill House, right behind the McNutt House. And Lt. Magill seems like to slam to doors. He has been seen wearing a long trench coat adorning a long beard. Another ghost is a girl called Maggie. She was the daughter of McNutt’s brother who died on the property of Yellow Fever. Nowadays, she could be seen approaching young children who visit the house, wanting to play with them. 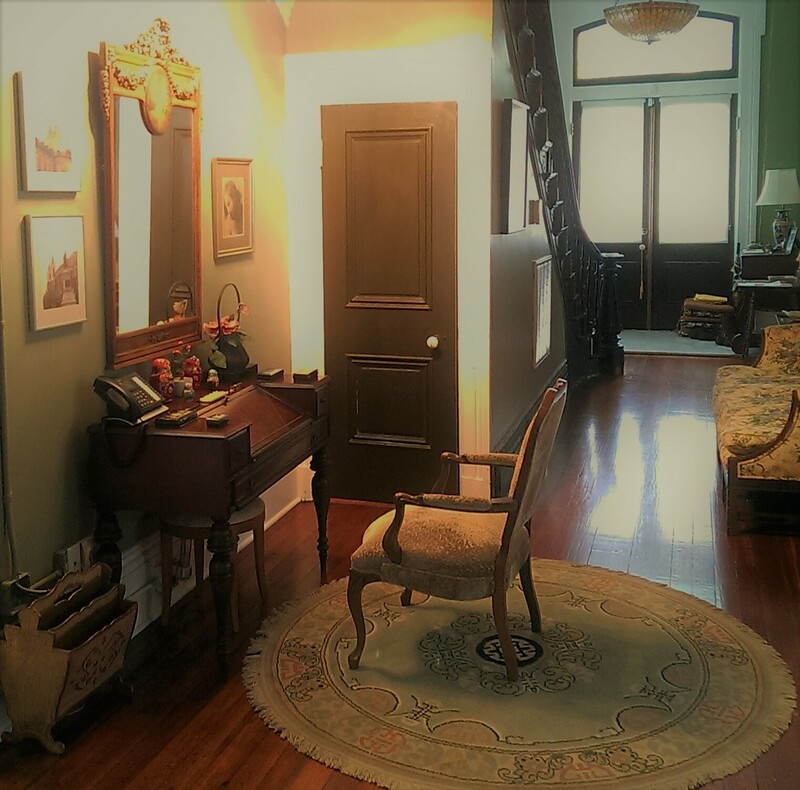 Fortunately for you, McNutt House is also a Bed and Breakfast, so you can stay there to experience the paranormal sightings by yourselves! Unlike other people, I didn’t have the courage to stay in a haunted house. So we chose to stay at the Bazsinsky House. 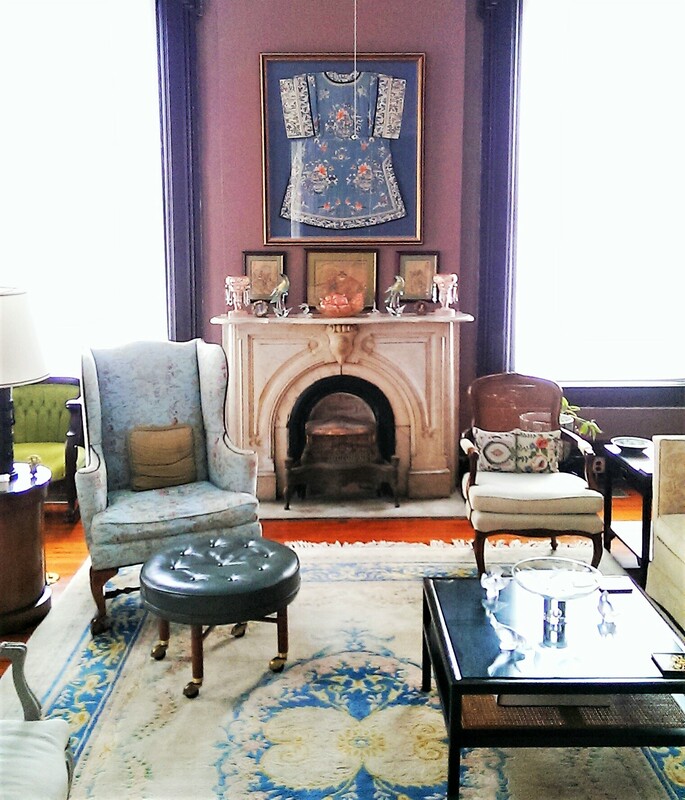 Completed in 1861 by Joseph and Adeline Levy-Bazsinsky, the house is fully restored to its former glory and beauty. 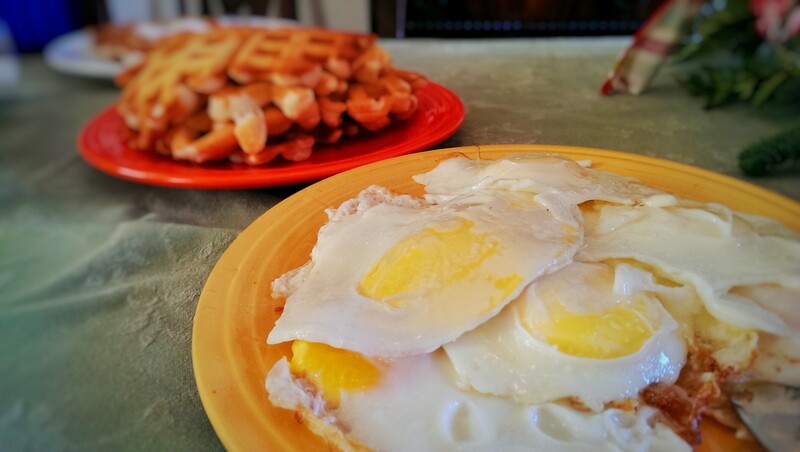 Owned by Andrew and David, the Bazsinsky House offers amazing breakfast, as well as a great experience staying over in one of the prettiest houses in Vicksburg. 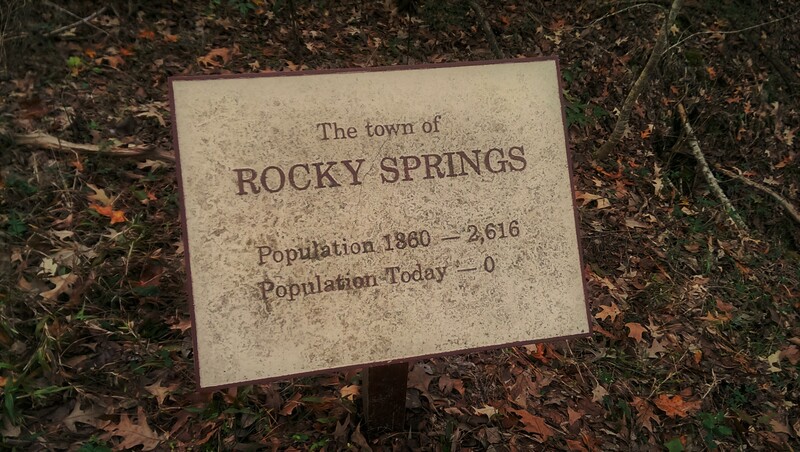 If you have never seen a ghost town, you should certainly visit Rocky Springs. 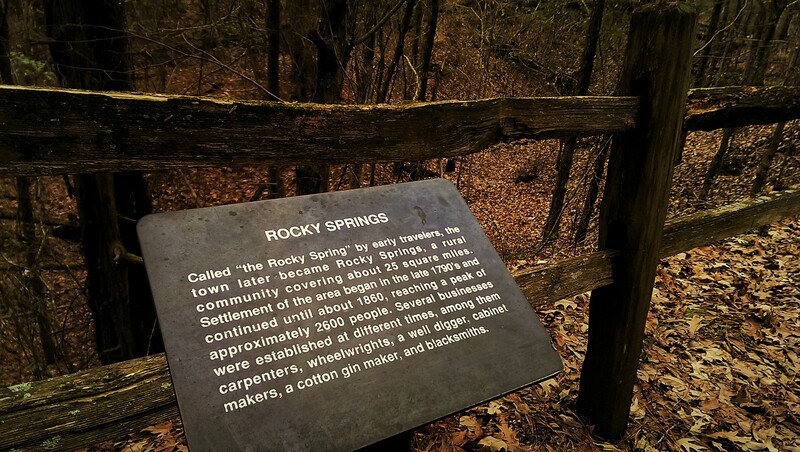 Rocky Springs is located along the old Natchez Trace, not far from Vicksburg. 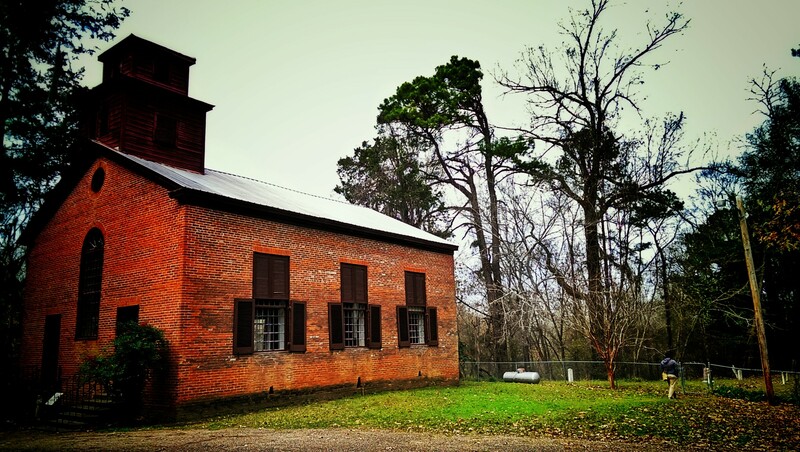 Established in the late 18th century, Rocky Springs was a watering place for travellers taking the Natchez Trace. It was close to a natural spring and soon a small community formed around it. At its height in the 1860s, the village had 2616 inhabitants plus two thousand slaves, and their main economic activity was cotton farming. A series of unfortunate events contributed to its decline soon after. First, yellow fever broke out in 1878, killing hundreds of inhabitants. Then there was an infestation of boll weevils that destroyed all their cotton crops. Due to poor land management, the farmers were already trying to cope with the severe land erosion. By 1930, the spring from which the town derived its name, dried up. 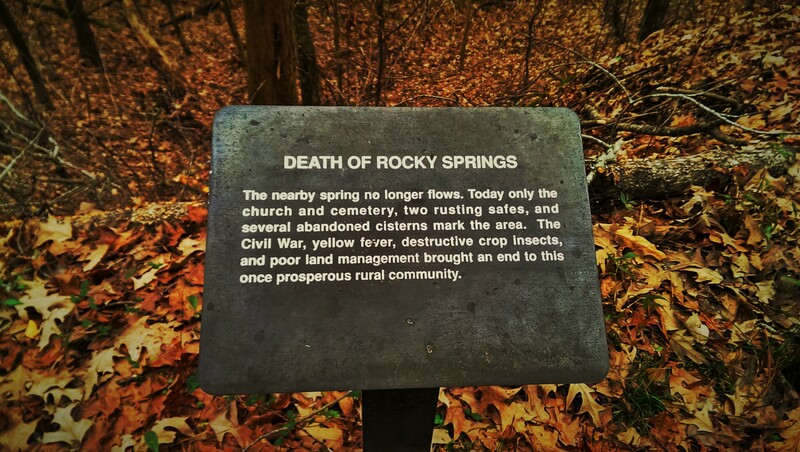 You can visit Rocky Spring only during the day. I won’t advise you to try to sneak in at night. The Methodist Church that was built in 1837 is the only standing structure, along with the crumbling graveyard beside it, housing the tombs of some original settlers. The rest of the town was taken over by nature. You will have to tread very carefully as the soil continues to erode today and huge holes appear in the ground. The atmosphere is nothing less than eerie. You see remnants of furniture, personal belongings, something exposed and half buried. 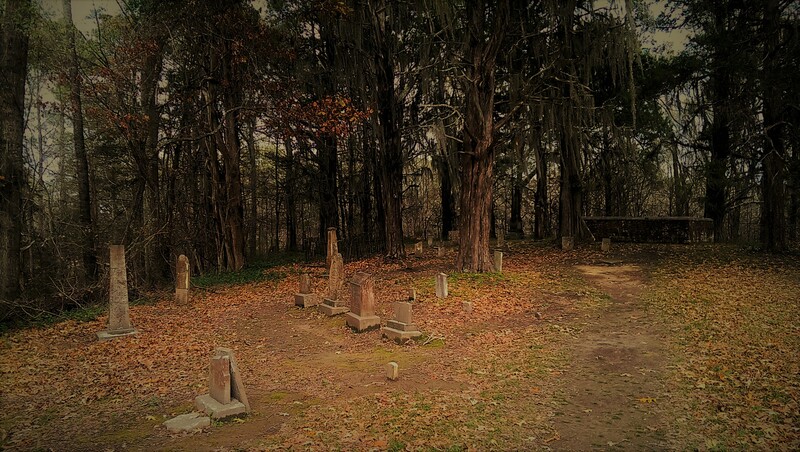 The site is so scary, you may very well see apparitions even in the day, considering the number of people who died here. 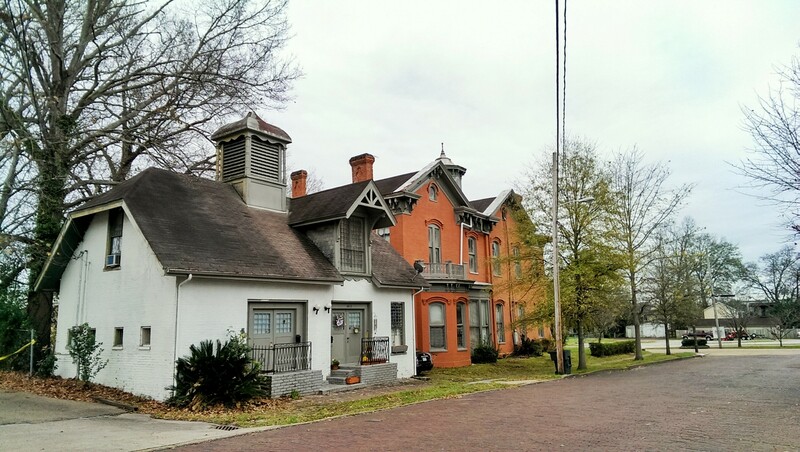 Not far from Port Gibson is the ghost of a house. The Windsor Mansion was built in 1859-61 by Smith Coffee Daniell II who only managed to live in his new home for a few weeks before he died. 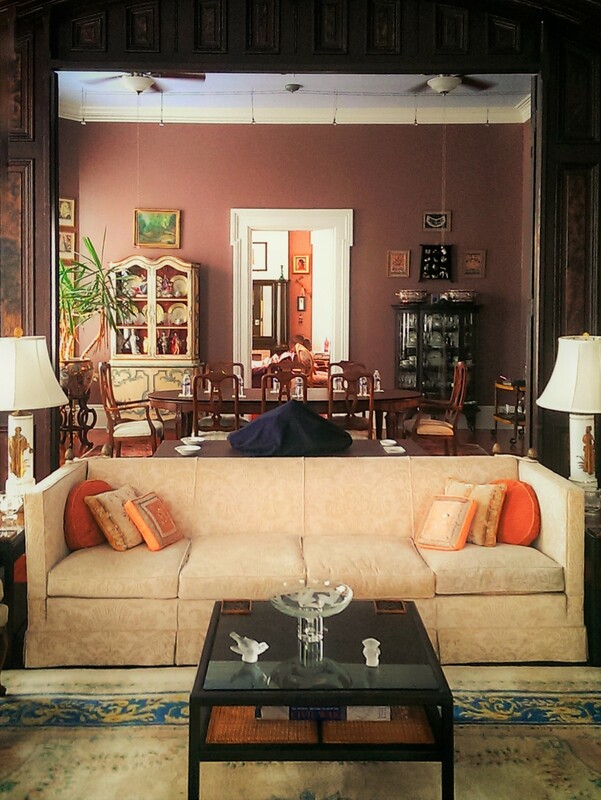 The plantation, on which the house stood, sprawled over 2,600 acres of land. Born in Mississippi, Smith Coffee Daniell II acquired great welath as a cotton planter by the age of 30. This cotton mogul owned about 21,000 acres of land in Mississippi and Louisiana! In 1849, he married his cousin Catherine Freeland (1830–1903), and they had six children, of which three survived into adulthood. 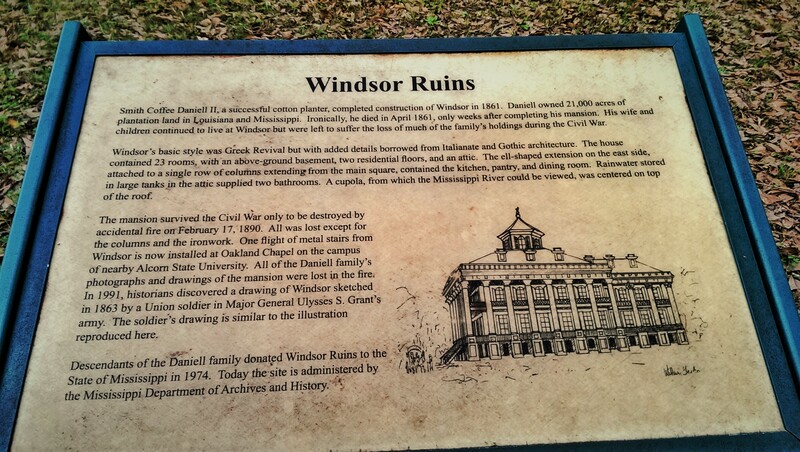 The Windsor Mansion was survived the Civil War and it was used by the Daniell family as a home and for social gatherings and they survived by leasing out part of their land. However, on 17 February 1890, a fire broke out on the third floor of the mansion and the whole house caught fire, leaving only the 23 columns, some balustrades, cast iron stairways and pieces of bone china. One of the stairways survived and is now at the entrance to the Oakland Memorial Chapel in the Alcorn State University. The Windsor ruins are a truly magnificent sight to behold. It is majestically tragic, sitting powerless amidst the encroaching nature.